About two years ago, life in the Paperhouse was changed forever by the discovery of a couple of pairs of Falke Soft Merino tights on the hosiery shelf during a rummaging session in TK Maxx. I know that sounds like hyperbole, but I really am pretty shallow. Suddenly, winter dressing was transformed from a misery of static-y, snaggley, chilly legs to a cocoon of cosy chic. I went back and bought every pair of the tights in my size – even some in a shade which I like to think of as “camel” but is really an unwearable sort of unfleshly tone. I liked them so much I bought a couple of pairs at full, eye-watering price, thinking that even though £40 was a lot to blow on tights, at least they’d last a long time and I could definitely darn them. But even tights with a serious Germanic name will wear out eventually and when mine ripped along the gusset, it turned out that my mending skills were a little reluctant. First of all, I put them in the mending pile. Then they ended up in the laundry. Then I tried to wear them anyway, and that was a thigh-chafing little adventure. However, I wasn’t going to buy replacements, and I refused to go back to nylons, so something would have to be done. When in doubt, turn to youtube. It’s helped me with so many knitting/sewing things, and showed me what the hell to do when my bike got a puncture. Plus, it saves me doing the thing I like least – asking for help. I’m such a child. 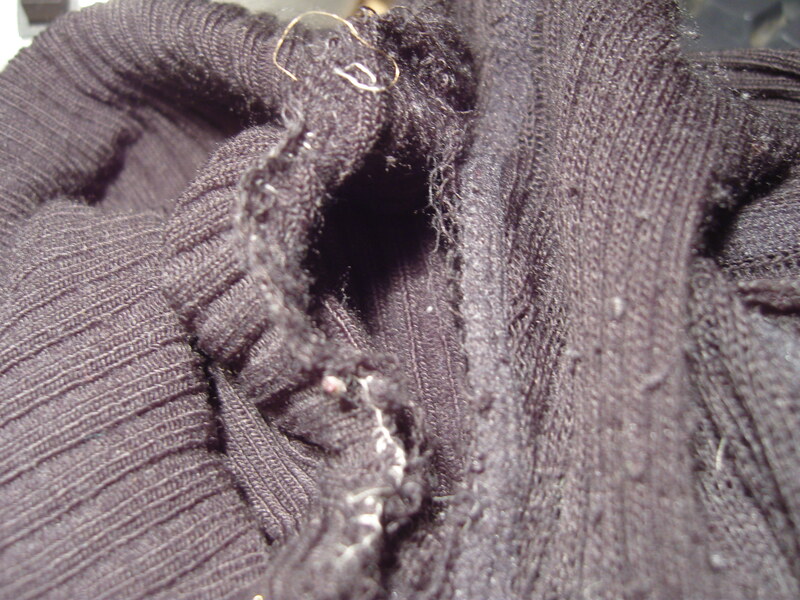 Darning is easy. I think it’s a kind of weaving with the sock as the frame. I have only ever darned socks. The problem is that sometimes the darn takes over and becomes more important than the sock. 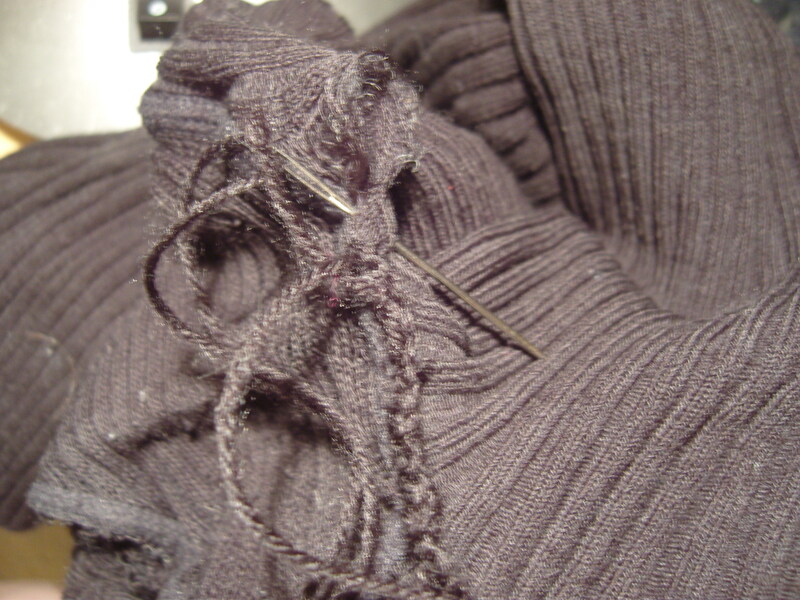 I used to think a favourite sweater could be improved with darning squares, but that was just an idle fantasy that never came into being. >>>>Your mum had a darning mushroom??? ?